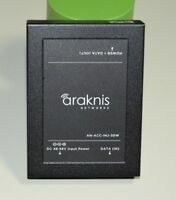 ARAKNIS AN-ACC-INJ-30W-100 Gigabit PoE+ Injector, No Power Supply. *Free S/H. 72-3383-01 Console Cable DB9 to RJ45 6ft Gefen Cisco Router Switch Line Card 13!